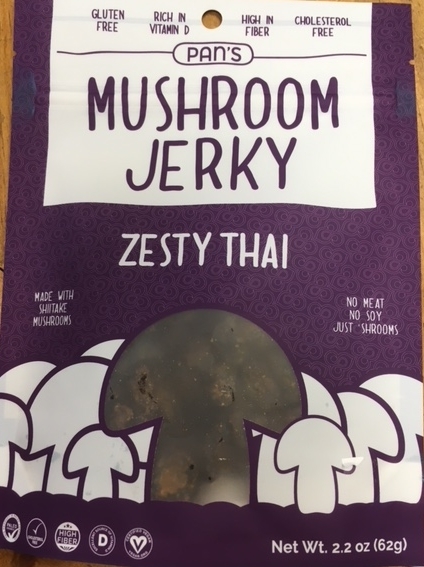 Pan’s Zesty Thai Mushroom Jerky Ingredients: organic dried shiitake mushroom, avocado oil, organic coconut sugar, water, pink himalayan salt, organic thai seasoning, organic chia seeds. 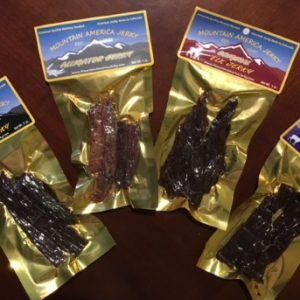 If you like steak smothered with mushrooms, try pairing Pan’s Original mushroom jerky with our Dahlonega Jerky Company Steakhouse Cracked Pepper Brisket Jerky! 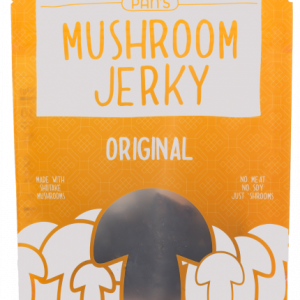 Pan’s mushroom jerky is 100% meatless and made with shiitake mushrooms. No preservatives, additives, nitrates or nitrites. A medium firm chew with great mushroom flavor. Vegan, Gluten free, soy free.